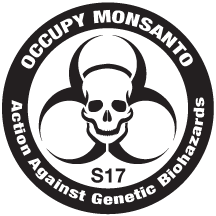 As a beneficial owner of Monsanto Company stock, I am submitting the enclosed shareholder resolution for inclusion in the proxy statement for the 2014 meeting in accordance with Rule 14a-8 of the General Rules and Regulations of the Securities and Exchange Act of 1934 (the “Act”). I am the beneficial owner, as defined in Rule 13d-3 of the Act, of at least $2,000 in market value of Monsanto common stock. I have held these securities for more than one year as of the filing date and will continue to hold at least the requisite number of shares for a resolution through the shareholder’s meeting. I have enclosed a copy of Proof of Ownership as well. I or a representative will attend the shareholder’s meeting to move the resolution as required. The Company stands by its products and believes they are safe. The state legislatures of Connecticut and Maine have passed legislation requiring foods sold in those states to be labeled if they were produced using genetic engineering, but only after 4 or more other New England states pass similar legislation. The report shall be available by July 1, 2014 and be posted online on our Company’s website. In order to ensure that our Company upholds its pledge of transparency, we urge a vote FOR this resolution. 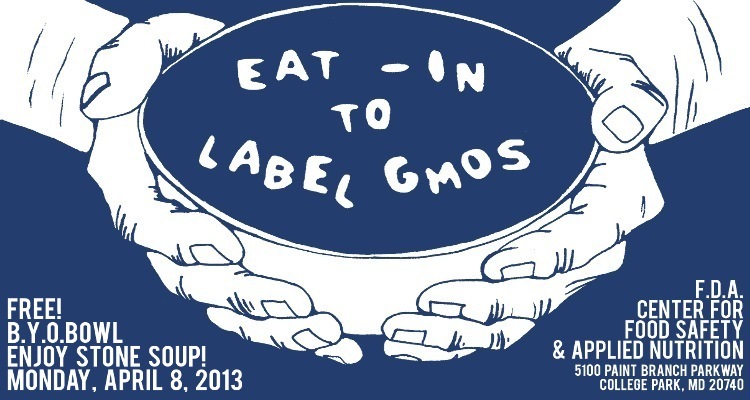 Food activists opposed to genetically modified crops will take their fight to the U.S. Food and Drug Administration next week, sponsoring an old school eat-in at the agency’s College Park, Md., campus staged around a truly historic meal. Occupy Monsanto organizer Adam Eidinger told HOH that the event is geared toward one simple goal: a clear understanding of what we are all eating. “We want transparency. This is a very reasonable thing to ask for,” he said, adding that protesters would, obviously, also have plenty to say about the controversial agri-industrial safeguards that hitched a ride to President Barack Obama’s desk via a recent spending bill. “We’re going to be talking about the Plant Protection Act, the Monsanto Protection Act … same thing as far as we’re concerned,” Eidinger said. But since that’s already been inked into law — “It should be taken out when the next budget is approved,” Eidinger counseled — organizers are focusing their efforts at proactive rather than retroactive changes. Part of that outreach will include urging demonstrators to take control of their personal eating habits. Attendees are invited to bring heirloom seeds to share/swap and are encouraged to bring whatever vegetables/herbs they care to contribute to the communal soup party. Eidinger credited activists from The Real Cooperative (Asheville, N.C.) with dreaming up the bring-your-own-vegetable format. He said chef Jonny Motto, who plies his steamy trade at TAAN restaurant in Adams Morgan, had volunteered to tend to the giant 200-quart pot of communal brew. Whole Foods Market announced today at Natural Products Expo West that, by 2018, all products in its U.S. and Canadian stores1 must be labeled to indicate if they contain genetically modified organisms (GMOs)2. Whole Foods Market is the first national grocery chain to set a deadline for full GMO transparency. Whole Foods Market has been collaborating with many of its supplier partners for several years to source products without GMO ingredients. In 2009, the company began putting its 365 Everyday Value™ line through Non-GMO Project™ verification and encouraged its grocery supplier partners to do the same. Whole Foods Market currently sells 3,300 Non-GMO Project verified products from 250 brands, more than any other retailer in North America. It will now expand this effort, working with suppliers in all categories as they transition to ingredients from non-GMO sources, or clearly label products containing GMOs by the five-year deadline. Whole Foods Market will make announcements about progress and key milestones along the way. “We’re responding to our customers, who have consistently asked us for GMO labeling and we are doing so by focusing on where we have control: in our own stores,” said Robb. Until there is GMO labeling, consumers can rely on Non-GMO Project verified products and certified organic products if they want to avoid GMOs. The U.S. National Organic Standards prohibit the intentional use of GMO seed in the production of organic crops. As a pioneer in the U.S. organic food movement for the past 32 years, Whole Foods Market now offers thousands of organic products, the largest variety in the country. 1 The company has 7 stores in the U.K., which already requires labeling for all foods or feeds that intentionally contain or are produced from GMO ingredients. 2 Plants that have been altered through a technique that changes their genetic makeup, producing new combination of genes and traits that do not occur in nature, including the possibility of the introduction genes from other species, are called genetically modified organisms (GMOs) or genetically engineered (GE) foods. ­About a dozen protesters calling themselves Occupy Monsanto spent several hours near Monsanto’s headquarters in Creve Coeur, Missouri as shareholders voted on members for the company’s Board of Directors. The protesters called for more transparency in the multinational company’s operations especially in labeling, research and business practices. Adam Eidinger who owns 75 Monsanto shares read his speech to the protesters before heading to the meeting to address shareholders with a statement on behalf of Pesticide Action Network, the company, which submitted the study on potential risks of using GMOs. RT: You are a Monsanto shareholder, so you’re obviously interested in the company making a profit. But you are planning to speak on behalf of the company which submitted the study on the potential risks of Monsanto products. Why are you doing this? AE: Well the resolution we had would have required a report to be written that could be shared with researchers and scientists across the globe about the risks that they know – the company knows already – about their genetically modified crops. Which many safe food activists believe make us more reliant on herbicides and chemicals that the company also sells. And these chemicals may be what’s causing higher rates of cancer in industrialized nations across the globe. We know how it caused tumors in rats that were fed in long term studies last year. Dr. Seralini’s study was a topic during this shareholder meeting, I brought it up. I was able to speak during the meeting. And this meeting was closed to the public, as you said. And one of the things we are asking for is in the future this to be live-streamed. People around the world care about what’s going into the food. They may not want to own Monsanto stock. I only bought the stock so I could speak at this shareholder meeting. RT: A Chinese economist has criticized Monsanto for controlling the country’s soybean market and trying to do the same with corn and cotton in the country. How is this impacting local farmers? AE: It devastates local farmers time and time again. We’ve seen countries where Monsanto has introduced ‘patented’ technologies, I like to call it. And they only provide hybrid seeds to farmers who then loose bio-diversity, loose varieties that have actually adapted to that area. What we need on this planet is better distribution of food and we need better organic methods to be shared with farmers, not more reliance on chemicals and pesticides. And now, it was quite alarming at this shareholder meeting, there are these new technologies where they are going to be modifying insects and viruses and introducing these novel viruses into the environment to handle pests, to kill pests. We wonder why bee populations around the world are plummeting – it’s because of these chemicals and possibly because of this new technology. RT: In 2009, Monsanto was accused by the US Justice Department of breaking anti-trust rules. But in 2012 the inquiry was closed without taking any enforcement action. Why? AE: I think Monsanto is a perfect example of regulatory capture where an industry captures the levers of government, levers of our democracy that are supposed to protect us from companies that would profit over our health being impacted in a really negative way. I mean people may be allergic to these crops, to the chemicals that are used on them, and they are trying to avoid them. And in America they have no right to know if the food has been genetically modified or not. And that is something I brought up at the meeting, if you want to be transparent you ought to label the food. So yes, you have people at the FDA like Michael Taylor who is the head of food safety who also was the vice-president of Monsanto for a decade and prior to that worked at the FDA as well. So it’s a revolving door, he was at the FDA, went to work for Monsanto and now he’s back at the FDA. It’s clear that secretary of state Clinton, she emphasized giving these hybrid seeds to Africa, yet there’s no proof this is going to help African farmers. I think quite the contrary – they are going to become dependent on buying seeds from the United States when they should be able to save their seeds and develop their own varieties in Africa. (KPLR) – Protestors in front of Monsanto Thursday to pressure the company’s CEO to make shareholder meetings more transparent. The bio-tech firm located in Creve Coeur, voted on a shareholder proposal to launch a study on risks and impacts of its genetically modified organisms. The activists supported the study, but are pointing out Monsanto is not living up to its own goal of ensuring information is accessible to the public.